Backup singers are like ghost writers. The invisibles. 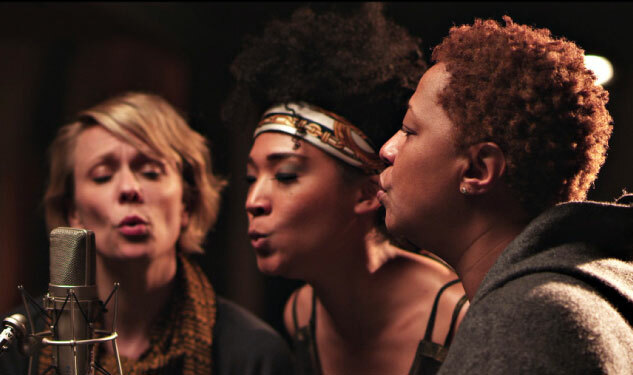 20 Feet From Stardom tells the story of some of the legendary backup singers you’ve never heard of. It’s a poignant story, told with bursts of beguiling harmonies, of the different mindset of the backup singer who goes for the blend and the lead singer who basks in individuality. And the near impossibility to move from the back to front and center. Where did the backup singers come from? Most of them were pastor’s daughters who grew up singing melodies, harmonies, and call-and-response, in church. Music was their oxygen. They didn’t require written music; they could hear the chords in their head and make magical tones singing together. It’s more than leaning on your talent. You gotta be disciplined. You gotta get up in the morning. Real musicians—there’s a spiritual component to what they do that’s got nothing to do with worldly success. Their music is much more an inner journey. Any other success is just cream on the cake. There’s this idea that you can go on American Idol and suddenly become a star; but you may bypass the spiritual work you have to do to get there. And if you bypass that, our success will be wafer thin. Fun catch: Ashley Cleveland, my walking partner (by me listening to her CDs, we’ve never met) has a cameo appearance at 87:14. Proof that I love to read!